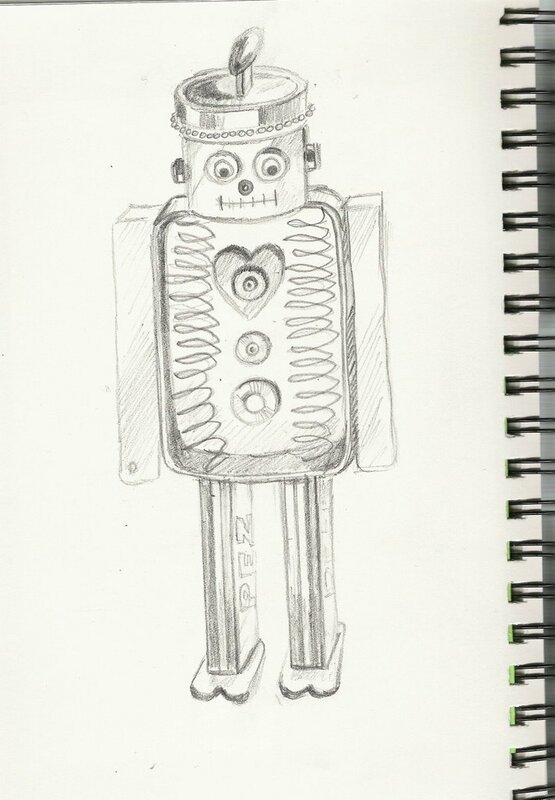 PEZBOT: As everyone's Robot this week has been so creative, and fun to see. I tried to do something different from my usual pieces. 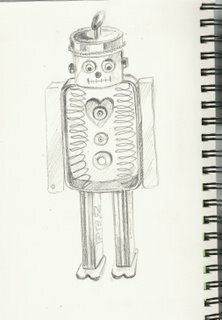 My original idea was to build a robot, which I did from an Altoid tin for the body. I used 2 Pez dispensers which I broke apart and used the insides for arms and outside for legs. I even used the springs for the insides. The embellishments are buttons, washers, grommets, and misc. found objects. I sprayed the base bot with chrome paint. He didn't quite meet my expectations and of course I couldn't scan. So I'm submitting my drawing of him instead.